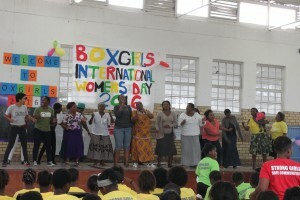 The City of Cape Town’s Development and Early Childhood Development, Khayelitsha District hosted an International Women’s Day programme on 8 March 2016 and invited Boxgirls to be part of the proceedings of the event. 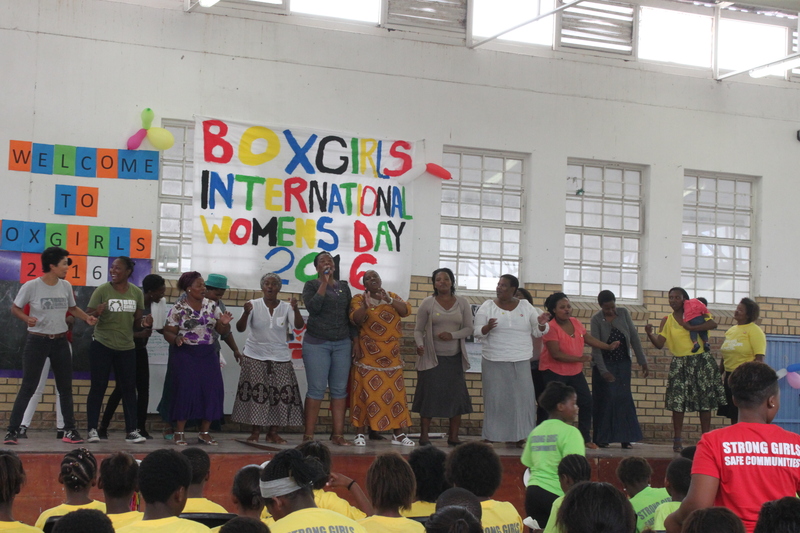 I started working with Boxgirls in 2009 at the Blue Hall with young female boxers to empower them but I saw that the girls where not coming to the training during the winter because it was not safe for them to walk to the hall. 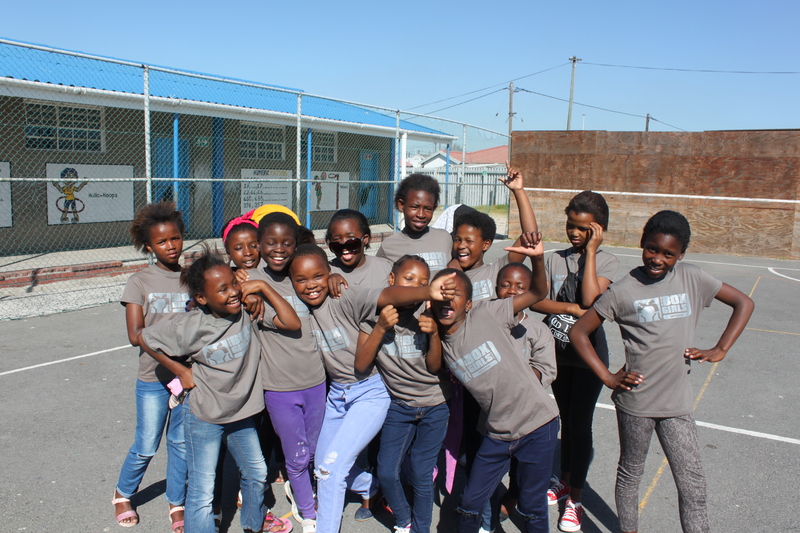 So we started training with girls at primary schools, at the Vuzamanzi primary and Nolungile primary. 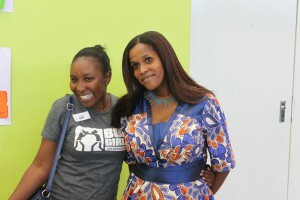 As I was training the girls at the schools we got to know us better and I became like a big sister for them. We began to have a trustful relationship and the girls talked to me about their everyday experiences. So because of these conversations I realized that they needed my help not as their boxing trainer, but more as a mentor. So, we decided to add more educational parts to the programme. After changing and implementing the curriculum I could have seen that the self-confidence of the girls improved a lot. Let me give you an example which I experienced. It’s about a girl in the street where I’m living. Her name is Andisiwe. I always knew her as a very shy and introverted person. One day she came to visit one of our afterschool sessions and seemed to be happy being with peers and talked about her issues with understanding math and english. So, we invited her to join our project. Now, after being part of Boxgirls she is confident now, she can speak to anyone and is not shy to share her views anymore. Out of this example, you can see what our aim of Boxgirls is about. It’s about creating safe places for girls, where they can share ideas, views, problems that they are facing and where they empower each other. Our mission statement is: STRONG GIRLS. SAFE COMMUNITIES. 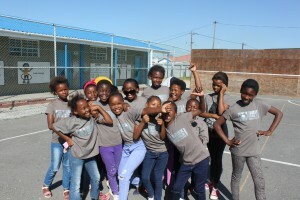 Our project hires young women around Khayelitsha to be our facilitators. We offer them training to ensure that they can educate girls. 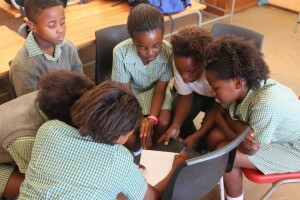 In our programmes facilitators work with girls at 15 primary schools. Twice a week we offer Leadership Afterschool Clubs for their personal development and on Saturday we focus on their academic education by offering Math and Homework Clubs. During the Afterschool Clubs we have leadership programs where we educate girls at schools about social capital and networking. We talk with them about gender based violence and teach them violence de-escalation skills. As an academic support we teach them Math in English. 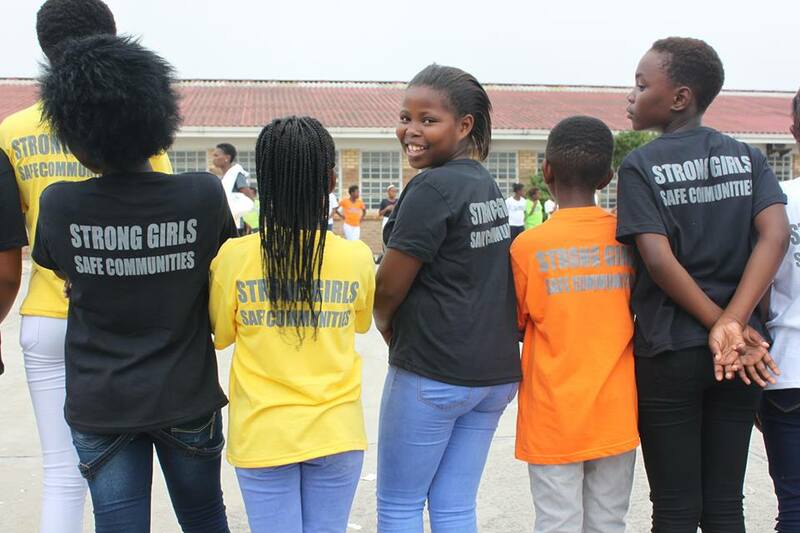 We also organise community events for girl’s rights, because it’s important to let the girls present their newly gained skills and therefore include the whole community. Each and every single component of these leadership programs helps to uplift the girl’s self-esteem and self-efficacy. So all in all we aim to create confident, empowered leaders who will take an active role in school and community. To ensure the success and the growth of our project we depend on support from others. Of course, we always welcome any kinds of donations! But, we also still need more tutors to help with our Saturday math clubs. And we need parents to be involved in helping girls grow and become strong leaders of tomorrow. As I said, our main aim is to create a safe, educated and strong community. We definitely can’t do this on our own. We depend on partners to get involved, so that we can work together to make this vision come true!